Love them or hate them, hashtags have become an important component of online communication, and many experts agree that they’re here to stay. If you haven’t done so yet, it’s officially time to acquaint yourself with hashtags! A hashtag is the pound sign (#). The symbol – also called the number sign – comes from the Latin abbreviation for weight. Hashtags have been used in sheet music for centuries, and they have a history in computer programing, too, explains Jeff Fierberg, Creative Director for Cappello’s. When it comes to social media, you can think of the hashtag as a giant filing cabinet. “The pound sign (or hash) turns any word or group of words that directly follow it into a searchable link,” explains Rebecca Hiscott, writing for Mashable. Anyone with a social media account can hashtag! Put the pound sign directly in front of a word or phrase and – voila – you’ve turned your idea into a hashtag. There are a few rules to keep in mind. First and foremost: Don’t use spaces in your hashtags. If your hashtag contains multiple words, simply string them together. Capitalization won’t matter for search results – #SolaSalons and #solasalons yield the same result – but it helps with readability by differentiating words. It’s fine to use numbers in your hashtags; punctuations and special characters, however, are not supported. That means no periods, commas, apostrophes, exclamation and question marks; dollar signs, backslashes or ampersands. Keep in mind that the @ symbol does something completely different than the # — it allows you to communicate with somebody directly. 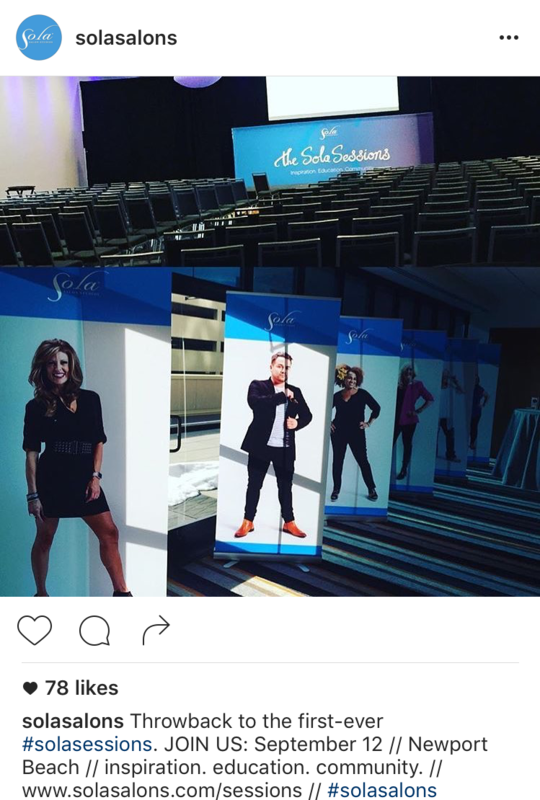 When you get to the #SolaSessions, make sure to post photos to Instagram, and include the Sola Sessions hashtag — that way Sola can collect your amazing photos. Remember, hashtags are an electronic filing cabinet; if you click on the hashtag you’re using, you’ll get a glimpse of every post mentioning the subject. You’ve just gained entry into a nationwide conversation specific to your industry or area of interest. How cool is that? Most social media platforms support the use of hashtags, including Instagram, Facebook, Twitter Pinterest and Google+. “While hashtags on all social networks have the same fundamental purpose of content tagging and discovery, the use of hashtags still varies by network,” explains Evan LePage, writing for Hootsuite. If you’re partial to a particular platform, consider reading up on that platform’s hashtag rules; most of the platforms put out guides for hashtag selection and use. Hashtags help small business owners build strong, visible brands. If you’re new to hashtagging, ease into them by jumping on popular, established hashtags. Try incorporating a weekly Throwback Thursday hashtag (#throwbackthursday or #tbt) into your feed, and sharing memories – or great hairstyles! – from your past. There’s also Follow Friday (#ff) for mentioning the industry professionals, companies and products you love. You can use trending hashtags to draw more users to your Instagram and Twitter profiles. If you’re a colorist, for example, there will be tons of relevant hashtags pertaining to that specific topic within the hair industry. Research the most popular hashtags for your audience; hashtags.org is a great place to start. 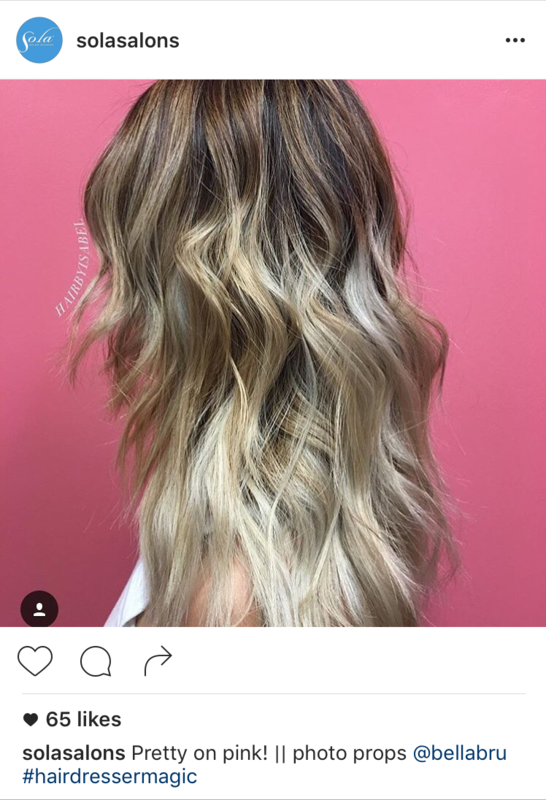 Sola stylists can even use specific hashtags to get noticed by Sola Salon Studios. Include #SolaSalons in your posts to ensure that your content is seen by Sola. “That is how we choose all of the great photos that we feature on our Instagram and Facebook,” explains Sola’s VP of Marketing and Education, Jennie Wolff. Social media is all about listening, engaging and building relationships. Now that you’re familiar with hashtags, it’s time to create your branded hashtag. The best hashtags are informative yet short, and speak specifically to your brand. Most likely, you are: #YourBrandName. Use your hashtag to generate buzz around a marketing campaign, bolster a contest or promotion you’re running — or simply get clients engaged. 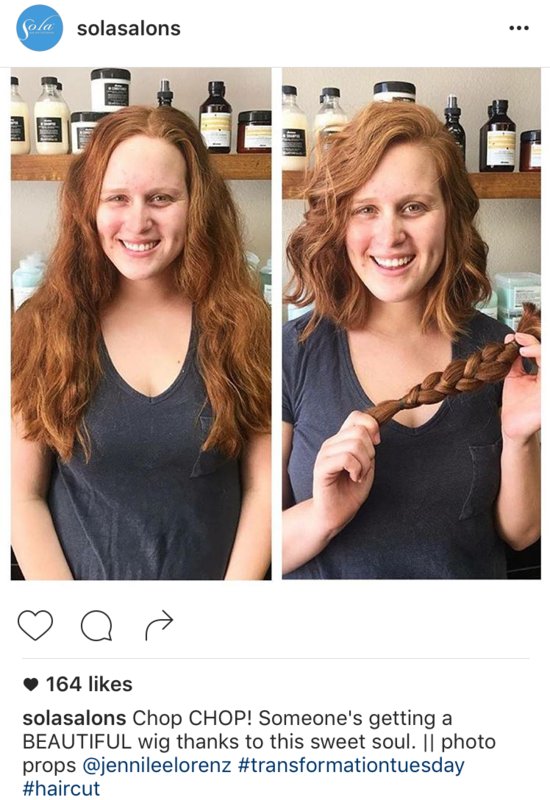 “If you can get people to start using your hashtags to talk about their haircuts, that’s almost like showing a portfolio for your salon,” adds Fierberg. If you aren’t ready to use hashtags to promote your business, you can still use them to learn from others in the industry. Search hashtags like #SmallBiz and #SalonTips for advice, resources and trending news – it might inspire your next blog post or enhance your marketing efforts. 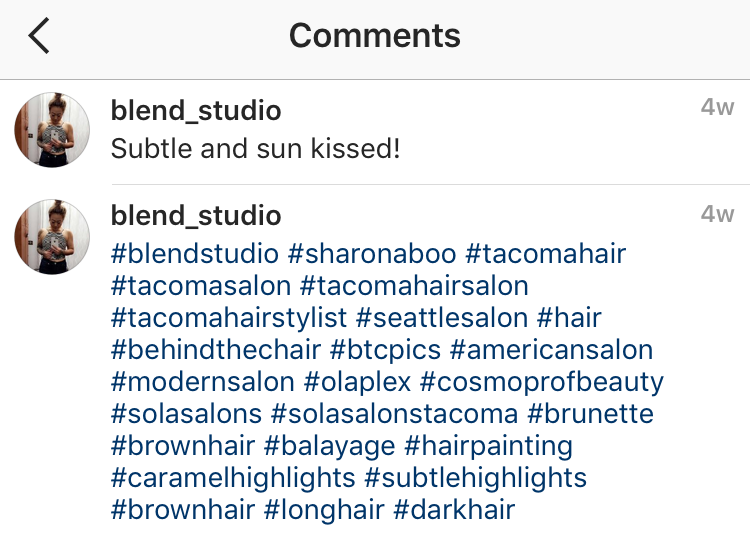 If you’re using hashtags to increase your salon’s exposure, then make sure your feeds are set for public viewing. Hashtag visibility directly correlates to a user’s privacy settings. If your Twitter account is private, for example, only those who can see your tweets will have access to your hashtags. Now, what are you waiting for? We’ve already told you that #SolaProsHashtag.